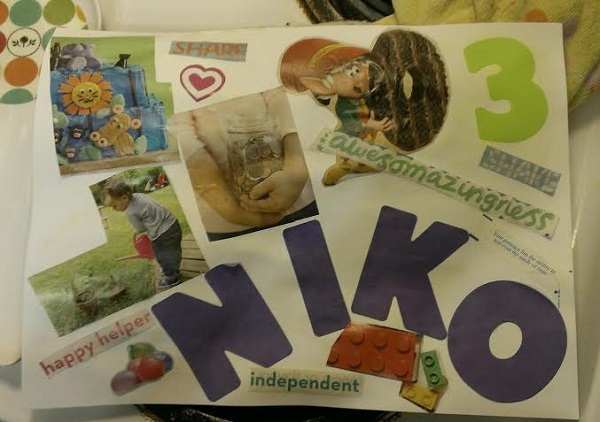 This week we asked: What does recycling look like? Ana blogs at Panda & Ananaso. 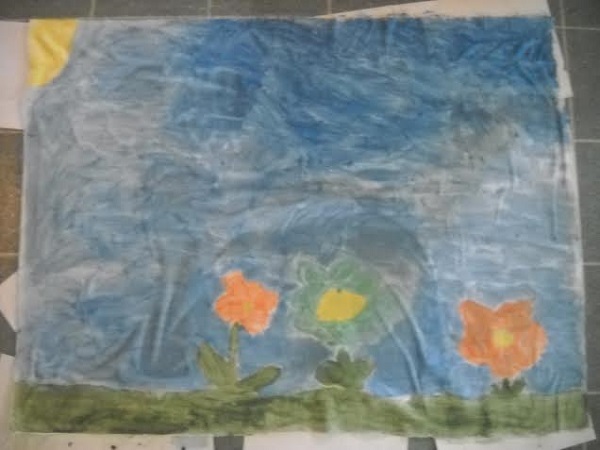 Adora recycled this pillowcase into a tapestry for her wall with paint she made herself. The paint was edible (not that we at it, but we could have). 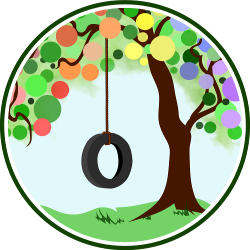 Adora’s AP nanny blogs from And Now, for Something Completely Different. 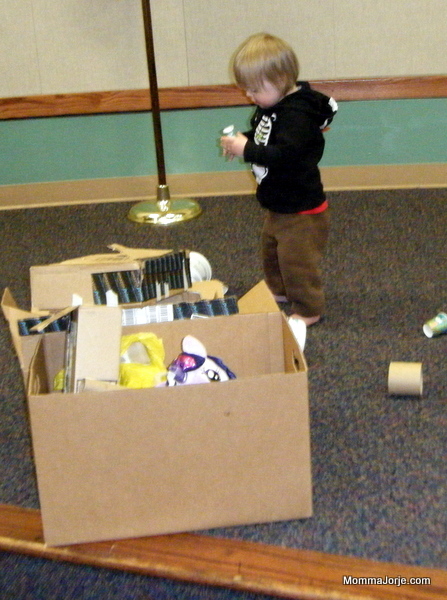 Jorje’s local Unschooling Co-op offers used shipping and food containers plus tape for free form recycled creations. 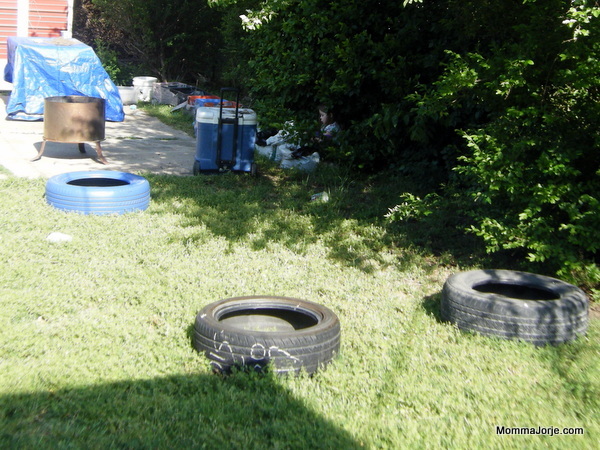 She will eventually half-bury a rainbow of tires to create a crawl-through caterpillar in the yard! 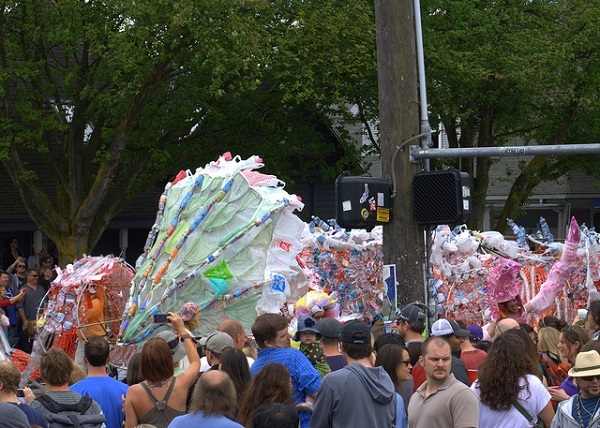 Seattle has an annual parade that always has amazing floats, outfits and puppets made from things that would be normally thrown away. This dragon was partially assembled by the crowd at the Folklife Festival. Shannon found a couple of bags of old crayons at the thrift store and decided to try recycled crayons. 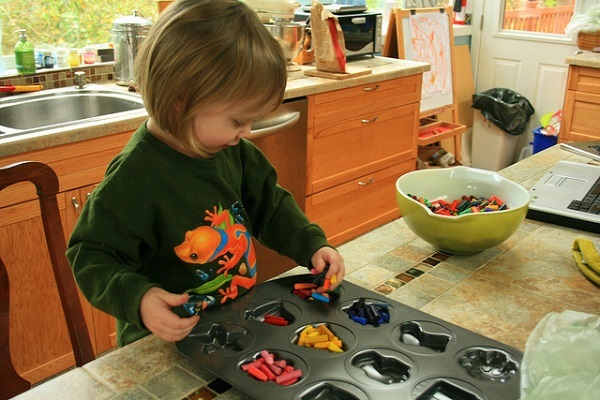 Moira had fun sorting colors out. 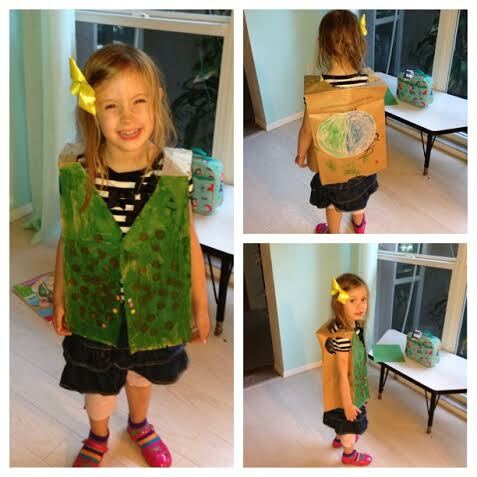 Tell us: What does recycling look like in your family?